Osborne Plumbing & Gasfitting T/A Laser Plumbing Grey Lynn established in 1919 by the Osborne family and has been passed down from generation to generation, now run by Craig Bowie. The business also incorporates Backflow Services a backflow prevention specialist business. You can be sure of great customer service from our team, have peace of mind with our Totally Dependable Guarantee. Our plumbing solutions best suit your needs and budget. Give us a call today on Ph. 09 376 1635. Experts in Backflow Prevention - consulted with Councils and Compliance Companies for many years. 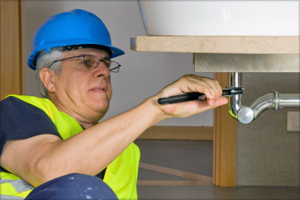 For all civil, commercial, domestic plumbing services, emergency work and urgent repairs. You can expect fast, reliable customer service from experienced qualified professional plumbers so give us a call today. Your "Totally Dependable" local Auckland Plumber. We strive to meet and exceed out customers expectations, using Laser Plumbing Grey Lynn you can have peace of mind knowing you are dealing with industry experts. At Laser Plumbing, we provide you Total Dependable plumbing services for your new home, home renovation or general plumbing repair and maintenance. Central Auckland: Grey Lynn, Ponsonby, Herne Bay, Western Springs, St Lukes, Auckland CBD, Westmere, Pt Chevalier, Ponsonby, Parnell, Newton, Grafton, Eden Terrace, Newmarket, Mt Eden, Balmoral, Royal Oak, Onehunga, Epsom, Greenlane, Ellerslie, Panmure, Mt Wellington. Eastern Suburbs: Remuera, Mission Bay, St Heliers, Orakei, Kohimaramara,St Johns, Glen Innes, Pt England, Panmure. Click here to download our business terms, conditions and pricing schedule. Laser Plumbing Grey Lynn videos.